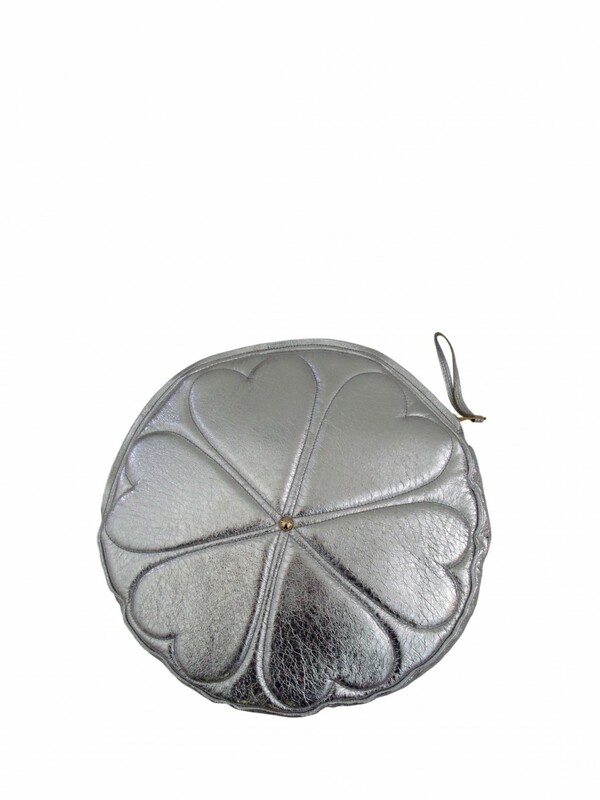 This ultra cool round clutch is slightly padded with a heart design and a gold metal stud. It would be a great accessory with any wardrobe. It is made from the finest leather and has a glamorous yellow/green satin lining with a convenient slip pocket. 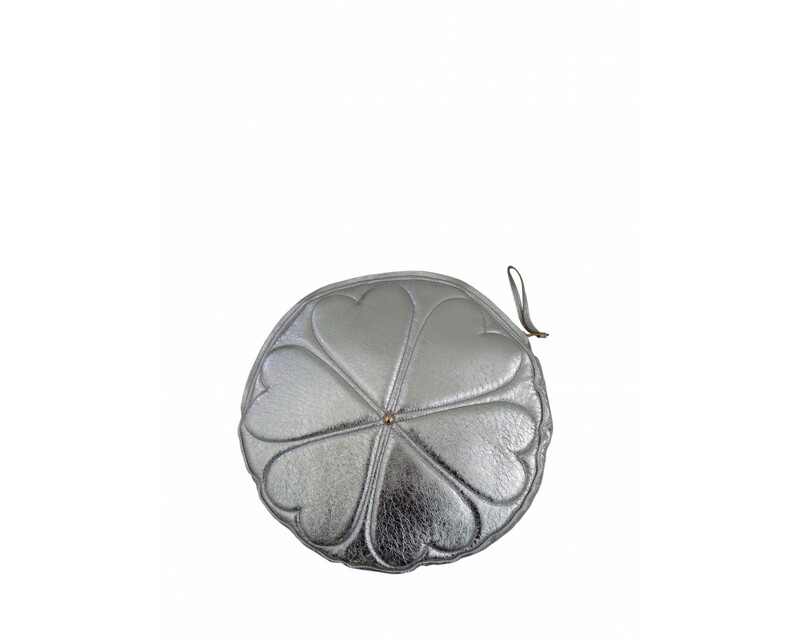 It is 18.5cms x 1.5cms and comes with a 100% cotton canvas de Roemer dust bag.